A van driver was caught on camera mounting a kerb in an effort to overtake traffic from the left. The video was posted on SG Road Vigilante's Facebook group page and according to the caption, the incident happened on Wednesday (Jan 16) at Newton Circus. The timestamp indicates it was at about 9.34am. In the video, traffic had come to a standstill as motorists were giving way to others at the roundabout when the van came barrelling through on the left. The driver was then seen coming to a standstill in the middle of the roundabout before the video ended. 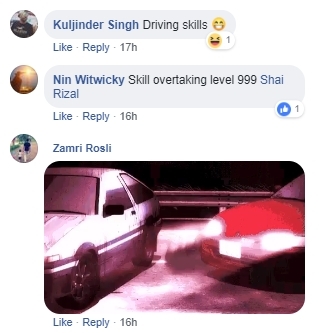 Netizens had conflicted feelings about the incident and many likened the driver's "skills" to those displayed in movies like Initial D and video game Grand Theft Auto.